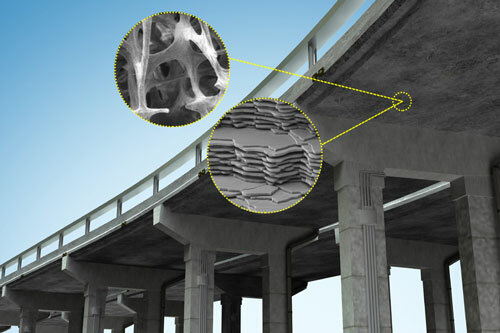 (Nanowerk News) Researchers at MIT are seeking to redesign concrete — the most widely used human-made material in the world — by following nature’s blueprints. In a paper published online in the journal Construction and Building Materials ("Roadmap across the mesoscale for durable and sustainable cement paste – A bioinspired approach"), the team contrasts cement paste — concrete’s binding ingredient — with the structure and properties of natural materials such as bones, shells, and deep-sea sponges. 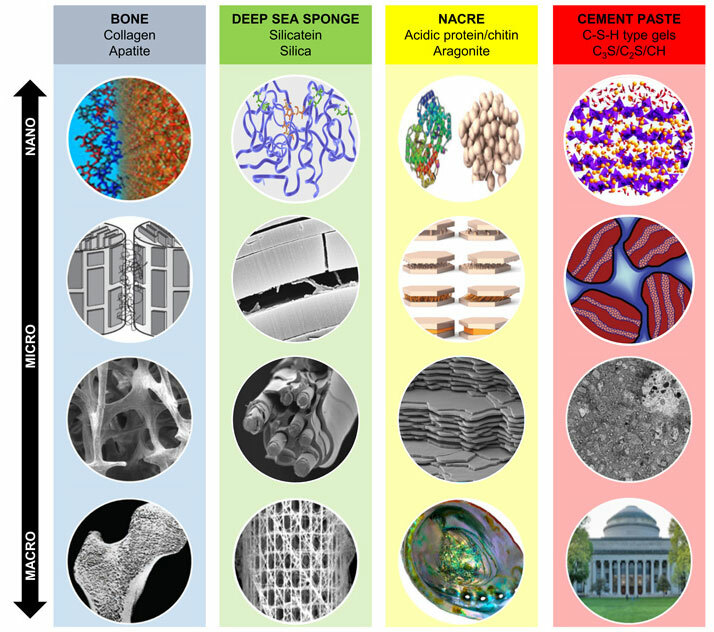 As the researchers observed, these biological materials are exceptionally strong and durable, thanks in part to their precise assembly of structures at multiple length scales, from the molecular to the macro, or visible, level.